The Lexington Legends invite members of the media and public to Triangle Park at 3pm on March 18. The Legends will be announcing an exciting Latino fan engagement initiative that they have been selected to be a part of, with a limited number of other teams across Minor League Baseball. Whitaker Bank Ballpark (LEXINGTON, KY) - The Lexington Legends invite members of the media and public to Triangle Park at 3pm on March 18. The Legends will be announcing an exciting Latino fan engagement initiative that they have been selected to be a part of, with a limited number of other teams across Minor League Baseball. The Legends will be unveiling a new identity for Friday night games with will include unique jerseys and hats. There will also be giveaways, specialized merchandise, and more. Who: Members of the media and Legends fans are encouraged to attend! Individual game tickets are on sale now! Opening Day 2019 will be on Thursday, April 4th at Whitaker Bank Ballpark versus the Delmarva Shorebirds, affiliate of the Baltimore Orioles. 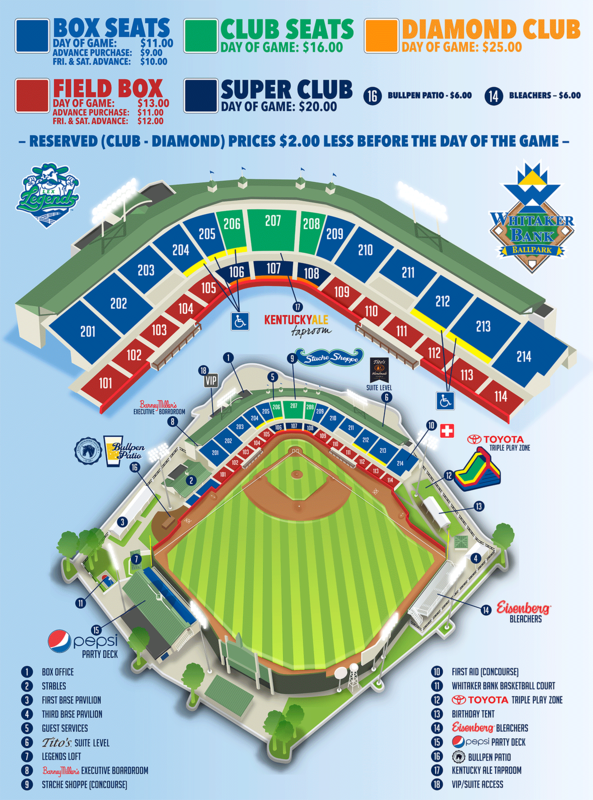 Ticket packages start at just $96 and are available now by calling the Legends Box Office at (859) 422-7867 or visit www.lexingtonlegends.com. The Legends, a Class A affiliate of the Kansas City Royals and member of the South Atlantic League, play all home games at Whitaker Bank Ballpark in Lexington, Kentucky.